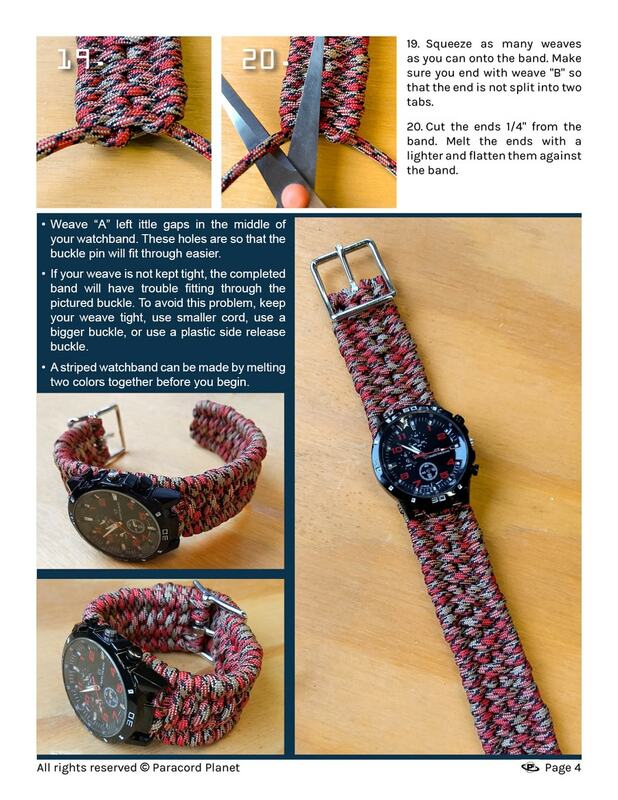 If you want a striped watchband, melt together 10 ft. of two different colors before you begin. 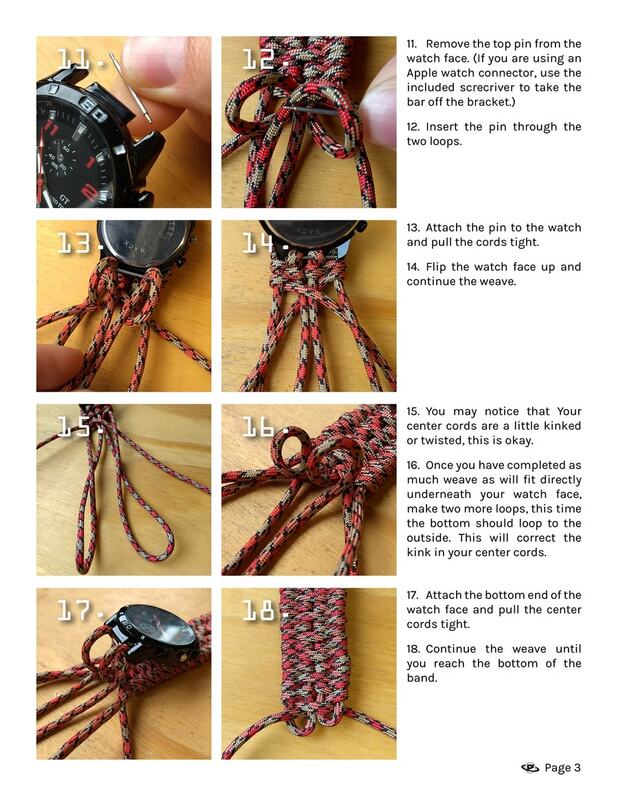 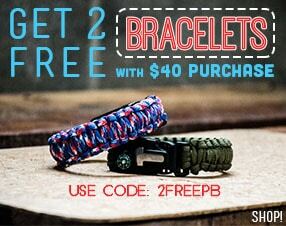 This watchband can also be made from 95 paracord. 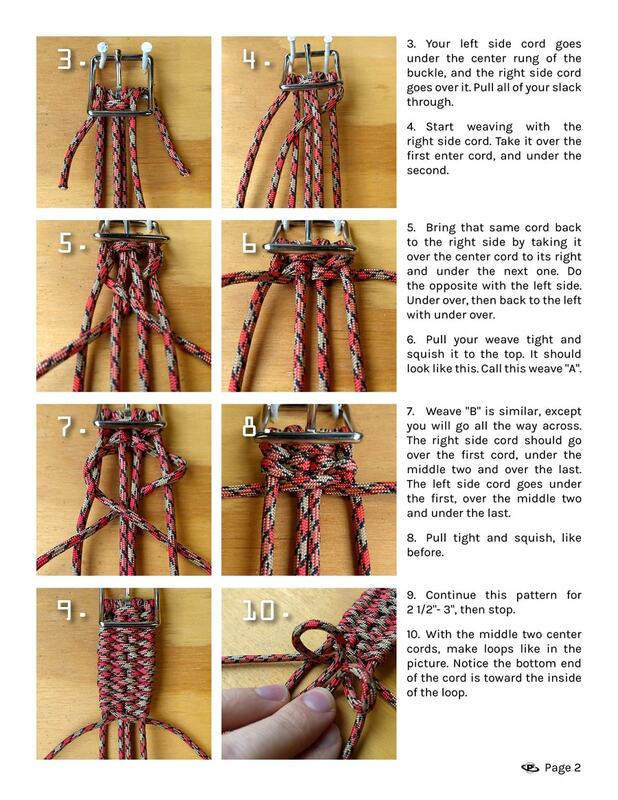 To do so, set up the band with 8 center cords instead of 4. 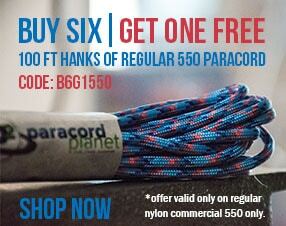 Then treat every pair as a single cord and follow the instructions as usual. 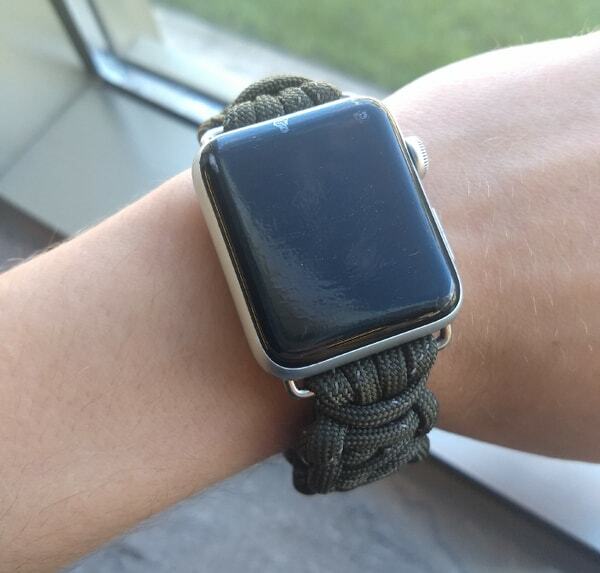 If you want to make this watchband for your Apple Watch, you will need our Apple Watch Connectors, available in silver and black. 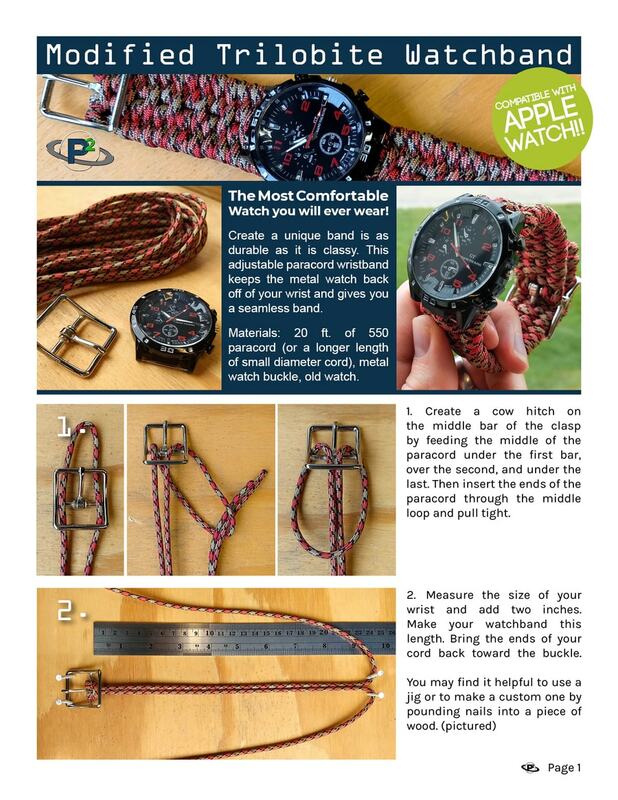 Or, if you don't have the time to make your own, we sell completed Apple watchbands made from 550 paracord.